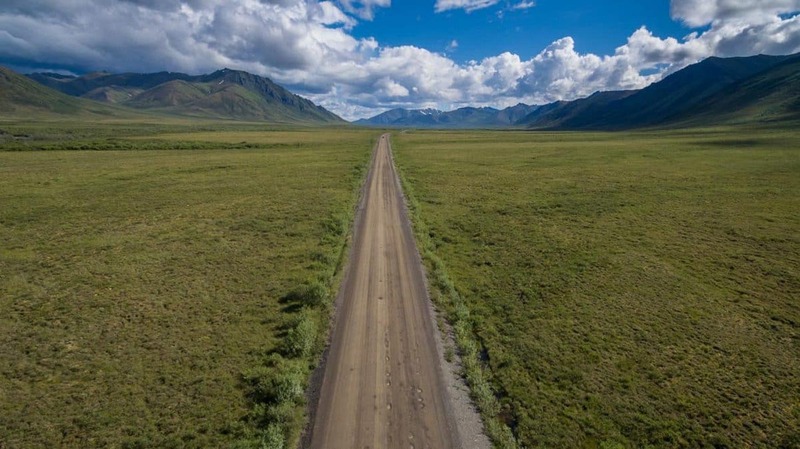 For the ultimate road trip adventure, there isn't a lot that compares to the Dempster Highway. 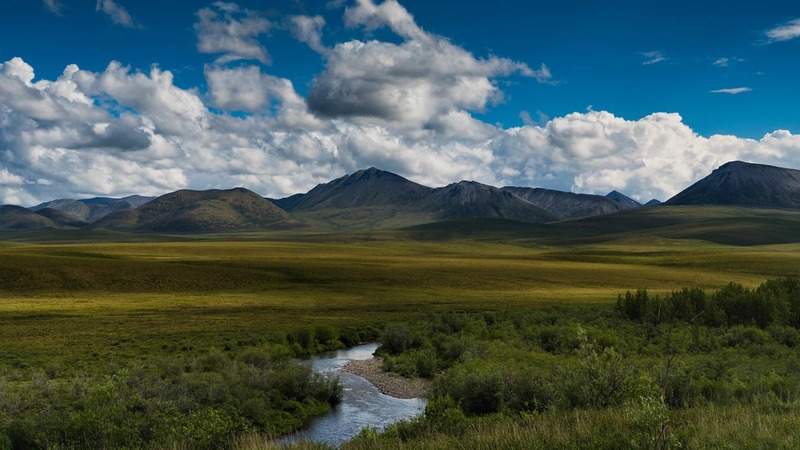 A Dempster Highway road trip is a great Canadian Adventure that very few have the opportunity to do. 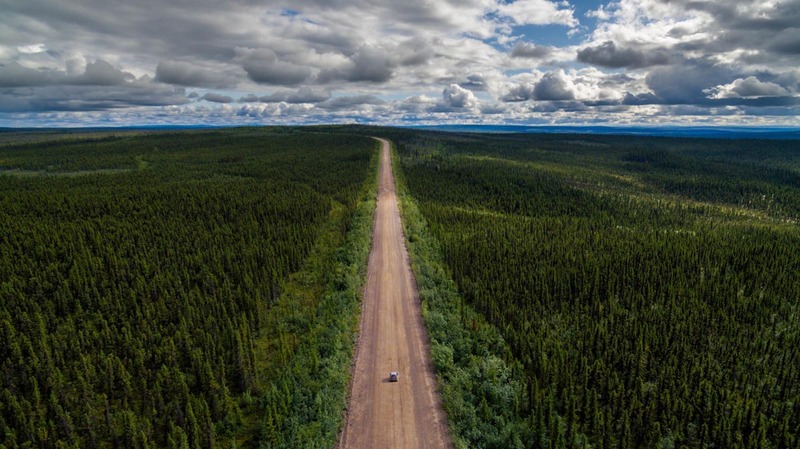 This 736 km road stretches from the far Arctic in Inuvik in the Northwest Territories, to Dawson City in the Yukon. 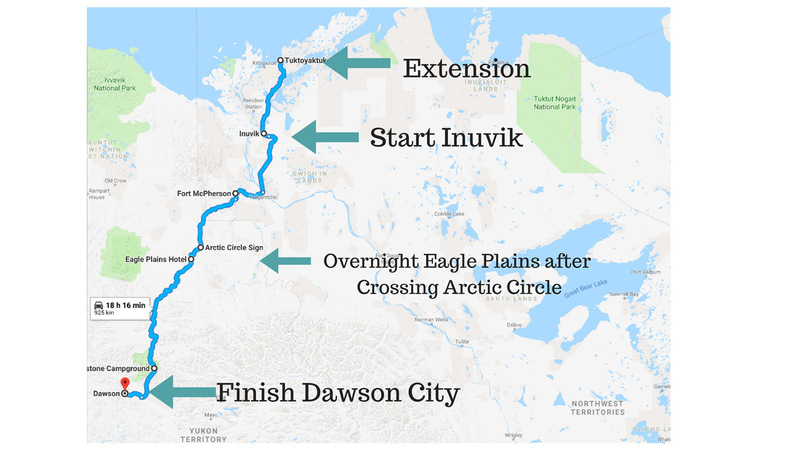 Note: Since we drove the Dempster Highway, it has been extended another 120 km North from Inuvik to Tuktoyaktuk. The Dempster highway is about as remote as it gets – taking you through mountains, over great rivers, and even crossing the Arctic Circle. There are no facilities on the Dempster Highway. 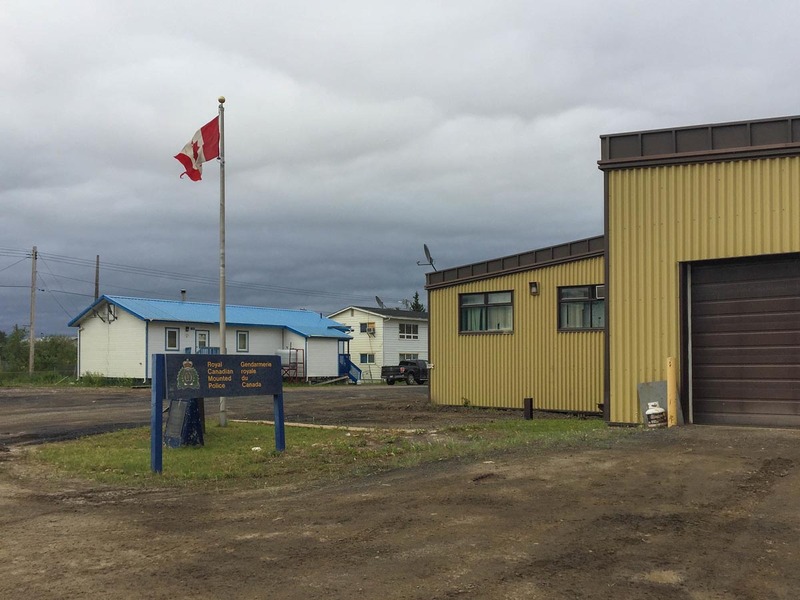 Once you leave Inuvik you are on your own until you reach the small outpost town of Fort McPherson. Inuvik is a sleepy town that was booming during the gas and oil days but has simmered down after the 1990s. It holds the high honour of being the most northerly town that one can drive to. During the summer months, it is the land of the midnight sun with 56 days of 24-hour sunlight. 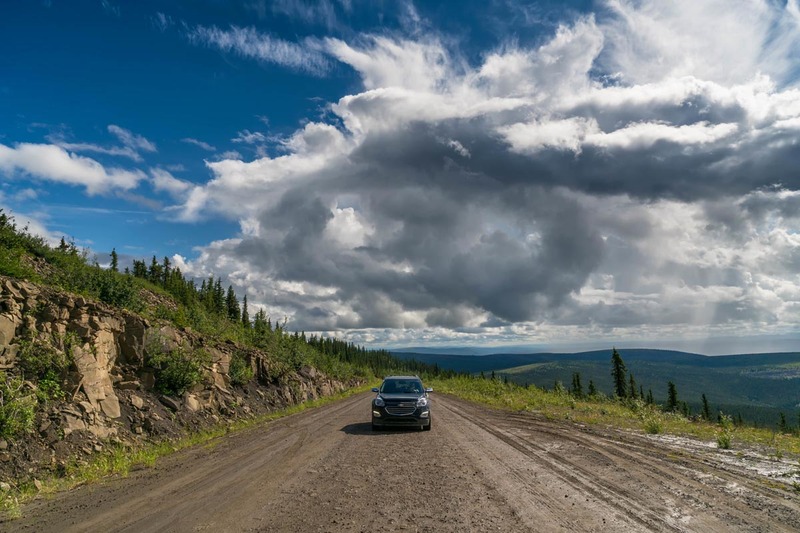 Inuvik is a great starting point for your road trip. We flew into Inuvik on a one-way ticket from Whitehorse, stopping at three different communities before landing at our destination. There are a couple of hotels, restaurants and bars to make your stay pleasant, and there's an excellent department store where you can pick up any extra supplies you need for the road trip. We rented a four-wheel drive truck from Driving Force in Inuvik. It's not cheap to rent, costing about $2000 for one week with your one-way return in Whitehorse, Yukon. But it offers a lot of freedom. 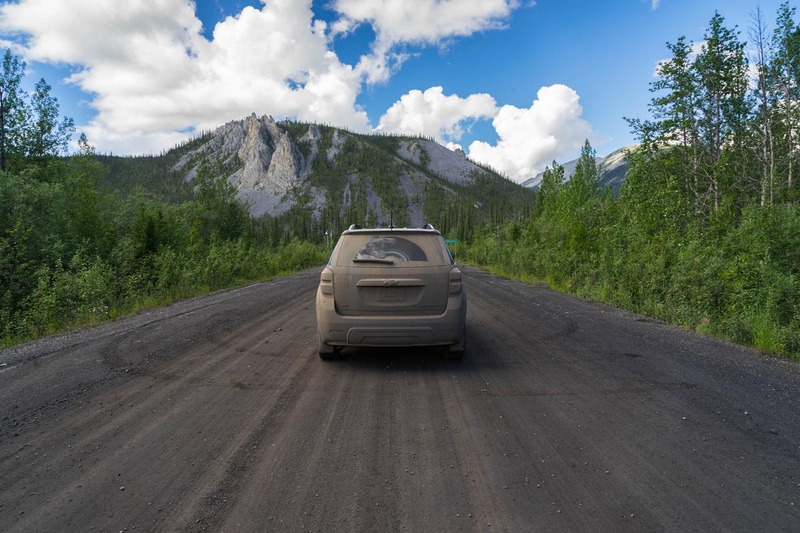 When driving the Dempster highway, you want to make sure that your vehicle is in excellent condition as there aren't a lot of places to stop and get any repairs needed. Make sure to have a spare tire, plenty of water, food, and a full tank of gas. If you are worried that your tank is too small, bring an extra jerrycan to get you through the trip. We set off early in the morning (although with permanent daylight, it could've been any time of the day), yet when travelling in the far Canadian North, time isn't a factor. You just go until you're tired because you are in the land of the Midnight Sun and you could drive all night. Thinking of Driving to the Arctic or heading out on a big drive? Make sure to download these Ultimate Road Trip Songs. The rain started on the first portion of our trip, so we made good time through the Northwest Territories. With rainy, foggy and grey conditions, we didn't have a lot of reasons to stop and enjoy the sights. Lucky for us, everyone told us that the Yukon portion of the Dempster Highway is the most scenic anyway. Even though we were bummed about the weather, we were still optimistic that things would get better. 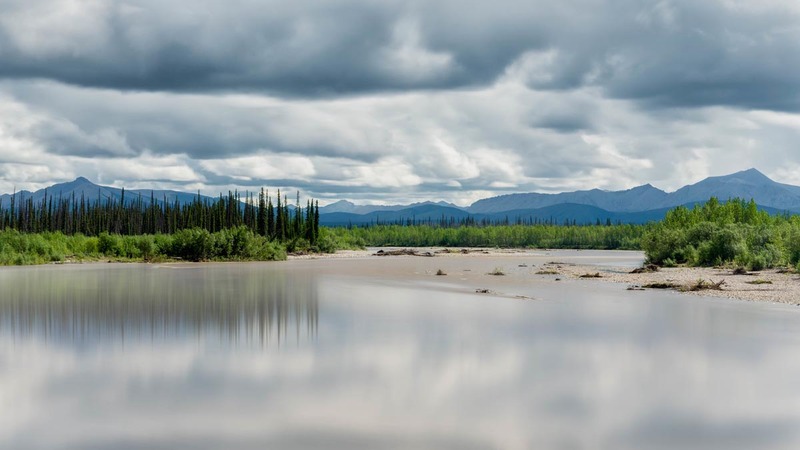 During our trip, we crossed two rivers including Canada's longest river, the Mackenzie. Each of these crossings was easy and uneventful, but we found out later that we were one of the last to cross that day due to the turn of weather. The rivers were flooding and they closed the ferries just a short time after we crossed. Pick up your Lonely Planet Travel Guide to Canada. Before doing our second river crossing, we took our time to explore the town of Fort McPherson. Fort McPherson started as a fur trading outpost for the Hudson Bay Company and had the first Mounted Police post in the Western Arctic. It's worth checking out before hopping on the ferry to cross the Peel River. We didn't have to wait long for the ferry and after a short crossing, we were on our way down the Dempster Highway to our next stop. Our first ferry crossing on the Dempster Highway. The rain refused to let up and driving the shale road was a slippery and knuckle wrenching task as the fog was dense and the conditions were slick. It is common to see a lot of wildlife on the Dempster Highway, including grizzly bears. But during our trip, most of the wildlife was hiding because of the weather. We did manage to see a caribou running along the road as we approached. And we saw our fair share of humans pedalling bikes down the Dempster. 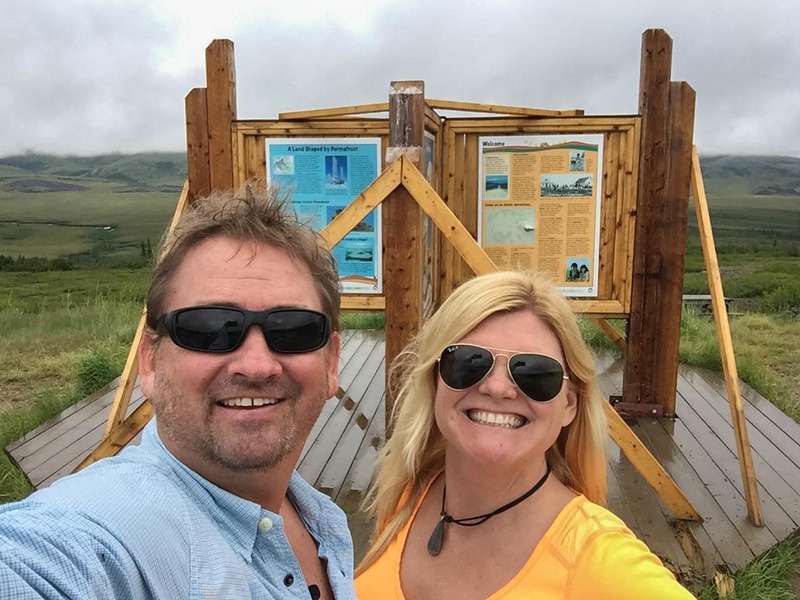 Crossing the Arctic Circle on the Dempster Highway! It rained our entire first day of the trip down the Dempster, but that didn't stop us from getting out to celebrate our crossing of the Arctic Circle. We'd been above the Arctic before, but we'd never stood on the Arctic Circle. This was one of those moments similar to the excitement one feels when standing on the Equator in Ecuador, the Greenwich Meridian in Britain or the Tropic of Capricorn in Namibia. It's just a damn cool experience. The Arctic Circle crossing happened just a little past the Northwest Territories on the Yukon border. It was funny to notice the Yukon sign falling apart, seeing very little love. There wasn't a big celebration entering another province, it was just a quick snapshot before moving on. That's okay though, the Arctic Circle waited for us and that's what we were excited about. We took in the view and then decided to move on before the weather got worse. An interesting fact about the Dempster Highway is that planes land on the road and share the highway with cars. With such a low ceiling and thick fog, we didn't worry about coming face to face with any aircraft today, but the thought did cross our minds. Could you imagine seeing fog lights ahead, but instead of them being another vehicle, they're on a helicopter or airplane? We kept our eyes peeled for any sights that we might have wanted to backtrack to the next day, but decided to drive on to our overnight stop at the Eagle Plains Hotel. We couldn't tell if the woman who greeted us was just in a bad mood or if that's the way she treated all the guests. We had just finished the first day of our epic road trip that so many people dream of doing, and she was short and gruff with the two of us. Our room was ready though, so we hauled in our gear and settled in for a meal at the bar. The hotel is a basic roadside motor inn, but there is a lot of history at the Eagle Plains Hotel. Make sure you go into the bar to peruse the old photographs hanging on the wall. 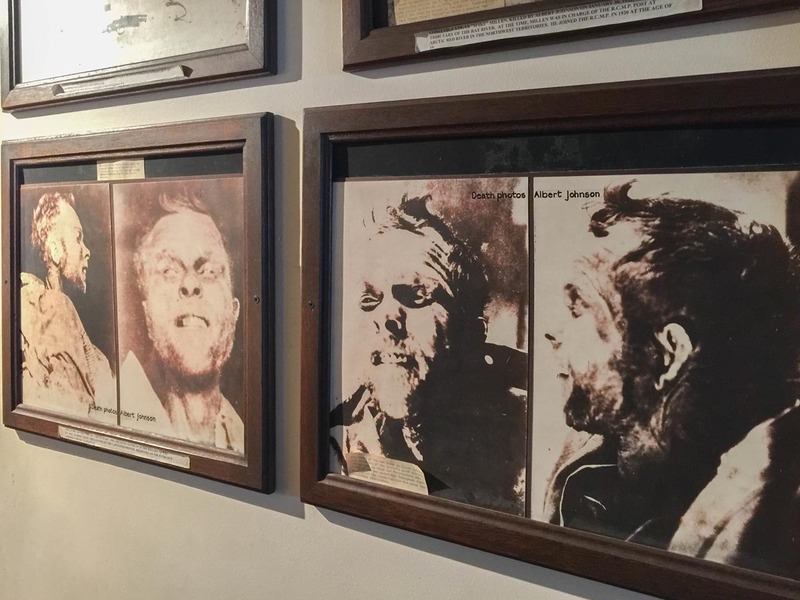 It depicts the history of the area with the highlight being the Mad-Trapper Man hunt that ended in the accused, Albert Johnson, being killed, but not before he took out RCMP officer Edgar Millan. 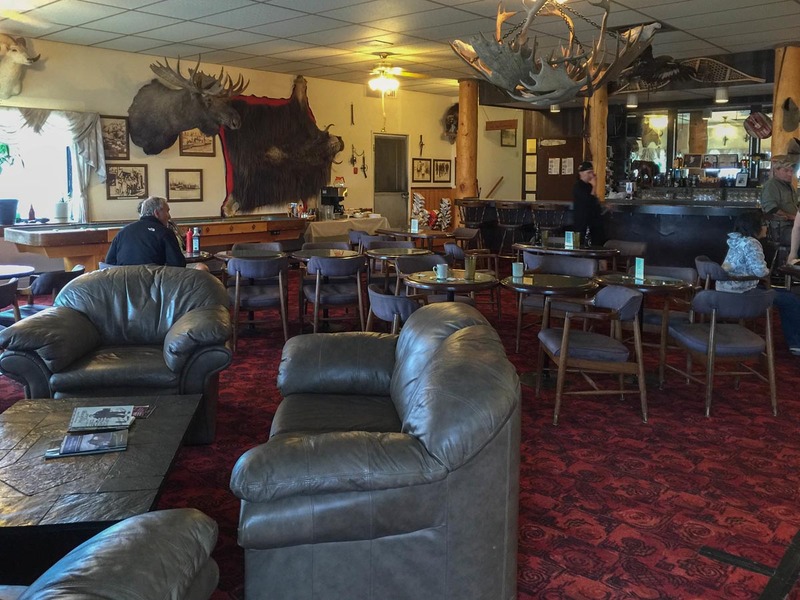 There are moose and deer heads hanging on the walls and you feel that you have stepped back in time 100 years. The hotel was full that night as word got out that the ferry crossings had stopped. 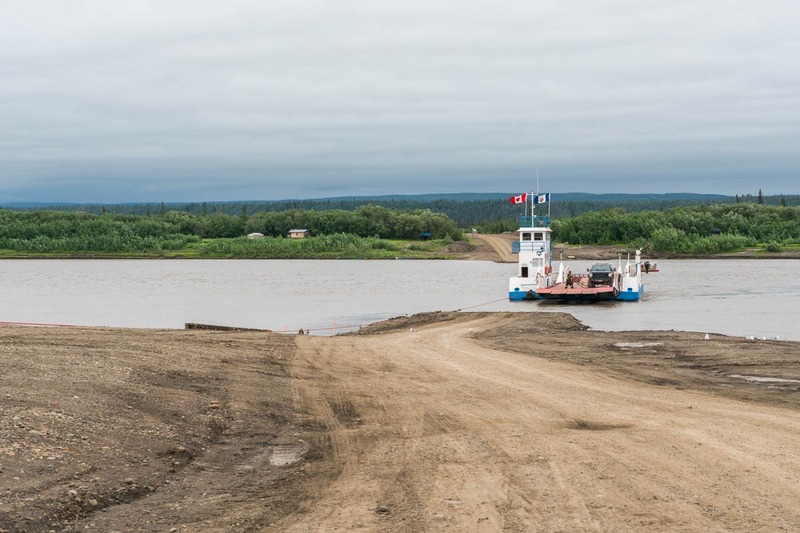 People driving up from Dawson City were disappointed that they couldn't continue on. Motorcyclists came in covered in mud and even the bush pilots were grounded for the night. We topped up the gas in our truck and filled up our water bottles before settling in for the night. It was a restless sleep as the excitement and anticipation grew for the day ahead. Would we see sunshine on the horizon? It was easy to tell that the weather was still bad outside with the 24-hour daylight. We went to sleep in the light, but the daylight had a very grey and foggy hue about it. We hoped the conditions would changes while we sleep. When we woke up in the morning, the fog was still heavy, but we decided to push forward with the hope that things would change. To our amazement, as we descended in elevation, the sun came out and we were welcomed by a beautiful day! Things were looking up and we were about to start the most beautiful portion of the trip. Our truck was covered in mud and dirt and we looked like we had been driving for months rather than just the few hours the day before. We did manage to clean off our windows so we could ta in the sunshine and views of the mountain vistas and deep valleys. Our day was spent climbing and descending through the Eagle Plains, Peel River Plateau, North Ogilvie and Mackenzie Mountains. Each scene grew more beautiful as the day went on. We made sure to stop regularly, with a highlight being the Tombstone Mountains. We couldn't believe the cars that passed this view by. The beauty of driving the Dempster Highway was definitely having the freedom to stop where we liked, when we liked. We made sure to take in each view and relish the moments. Our trip took us two days, but I recommend using a campervan and taking four days. There are campsites along the highway and if you take your time you'll get to take in all the sights along the way. It was late in the day when we finally made it to the Klondike town of Dawson City. 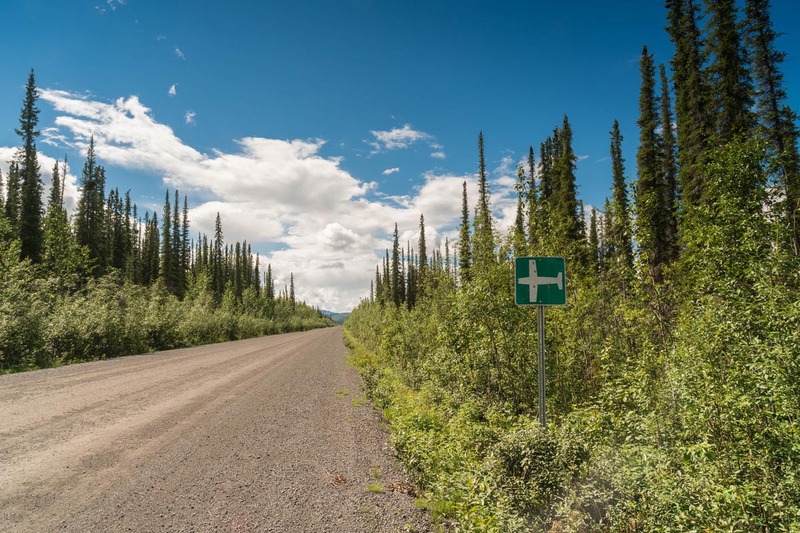 Dawson City is a stark contrast of the solitude and quiet of the Dempster Highways. Here you'll find showgirls, nightclubs, casinos and an all-around rip-roaring good time. But that is another story that you will have to wait to hear all about. 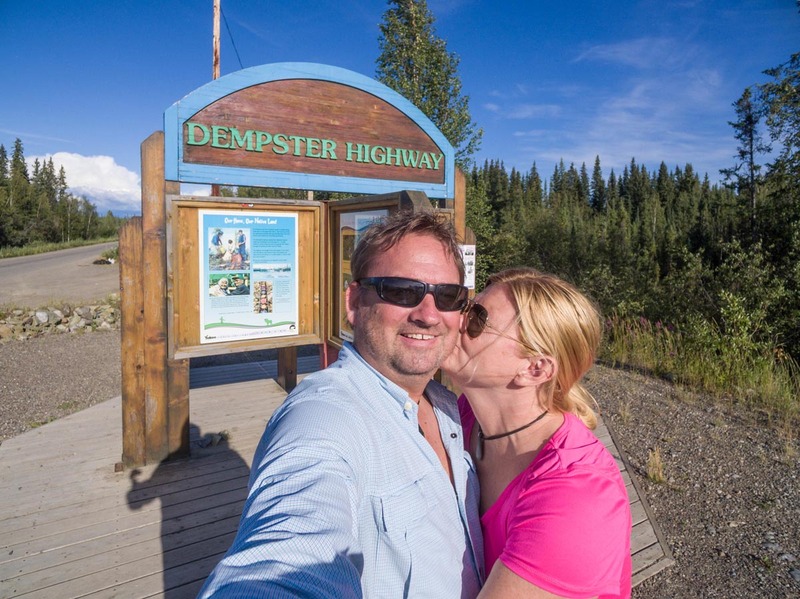 We still had a short drive into Dawson City, but our Dempster Highway road trip was over. It was a great adventure and if we had more time, we'd take at least four days to explore. There are many hiking trails, campsites and scenic views still to see! But we were excited for Dawson City. We have dreamed of seeing this town since I auditioned to be a dancer for the saloon show in the 1990s. It always seemed so exotic to me. Now we finally had our chance to see it. 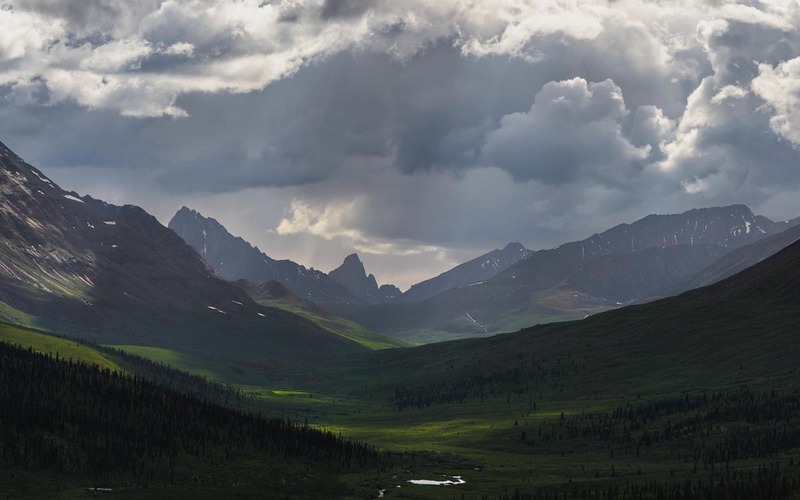 Caribou Trails – It wasn't caribou migration season when we were on the Dempster Highway but you can see the trails etched into the side of mountains left by the thousands of caribou that walk through these hills each year. 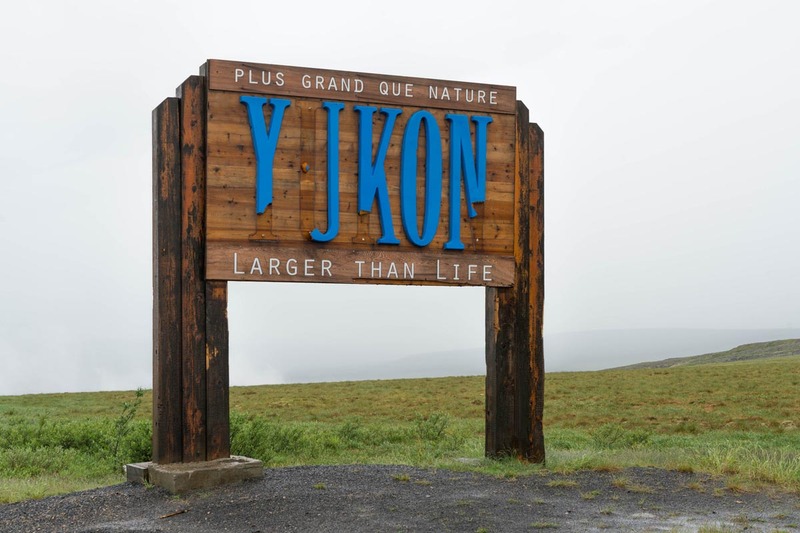 Our trip to the Yukon was sponsored by Yukon Tourism. 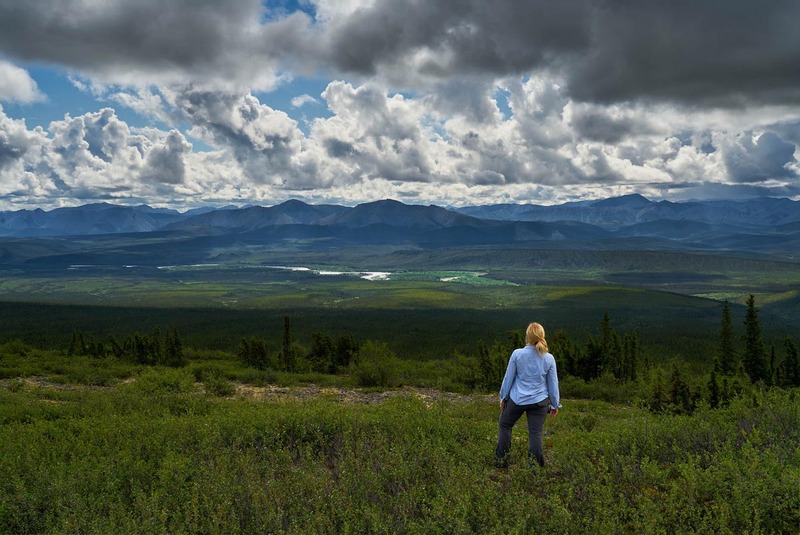 For more information on travelling to the Yukon and driving to the Arctic on the Dempster Highway, visit TravelYukon. All opinions are our own. 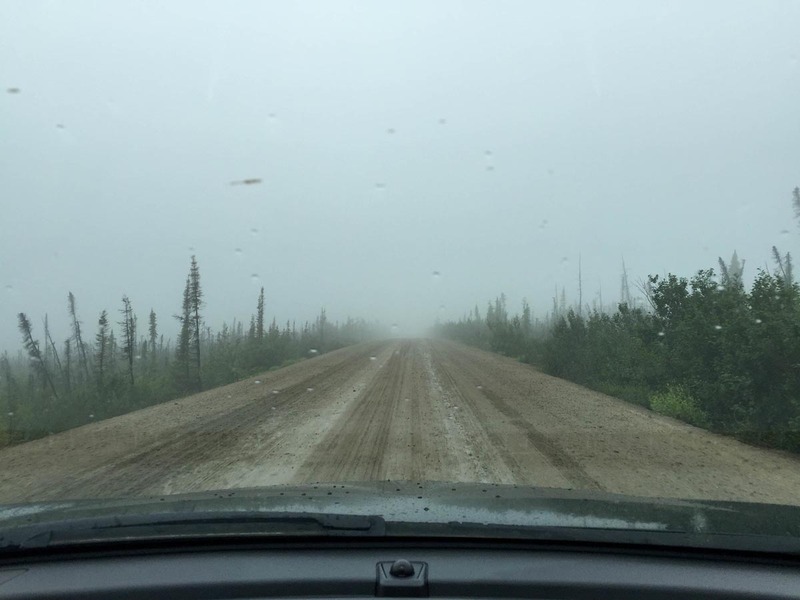 10 Responses to "Dempster Highway Road Trip – Yes You Can Drive to the Arctic"
Nice read, I did this trip in July 2016 and had horrible weather, rain turned the road into plowing mud, sliding off the road was a real fear and I did see one recent wreck that was cleaned up by the time I was on my way back. I did camp at rustic camp site costing $8 including unlimited firewood. The screened shelter with fire stoves were a welcome site. It snowed at Happy valley camp park that night/day . I plan to return in 2 weeks this I hope weather will be better and I can get out of the car and plan to drive the new 170km section to Tak. BTW given the cold weather bugs were a non-issue for me. This is such an epic trip – your photos are fantastic. We spent two weeks on the Dempster Highway back in 2014 and loved the scenery and isolation. 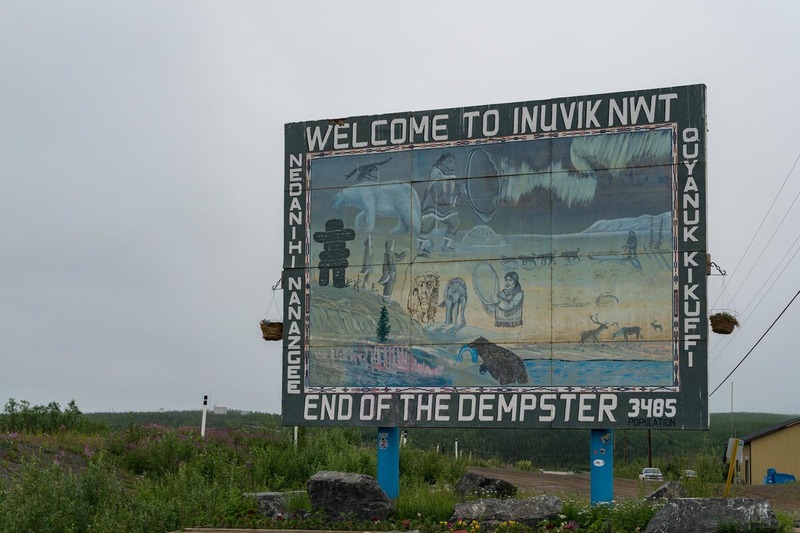 Best tip I can offer to road trippers is to NOT stay at the Territorial campsites en-route (except the Tombstone one) – although they are fantastic elsewhere, the ones on the Dempster are located in the most mosquito infested areas EVER. 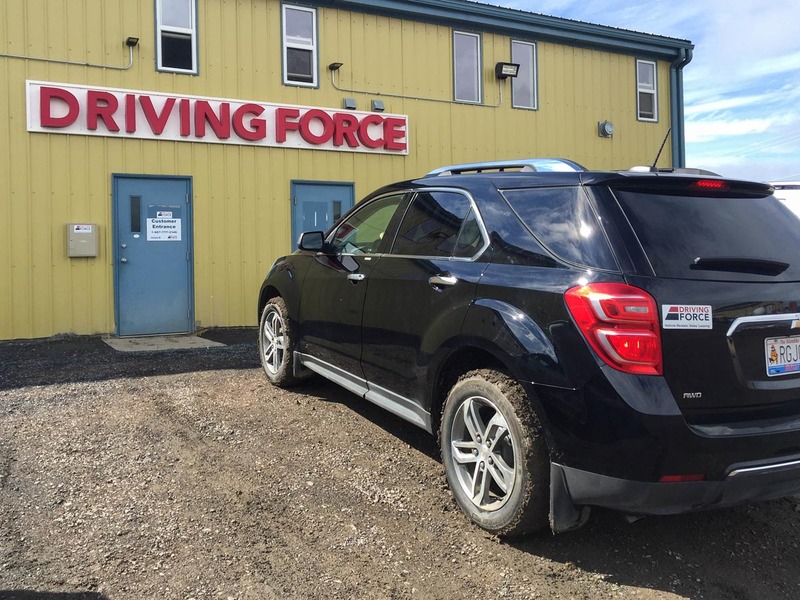 I would suggest that you check out Driving Force (https://www.drivingforce.ca). They are who we used. They do one way rentals as well for the Dempster. You might have to call as it doesn’t look like they have the info on their website. I agree with your sense of freedom that comes from driving your own car and stopping where ever you want to. You answer to no one. (Well, you do of course, the car rental firm won’t be happy if you don’t turn the car back in time!) Thanks for the advice to rent a camper van. It must be a magical experience to wake up on a camping site and open the door to one of the views in your video. The road looks quite good, although muddy. Did you feel you really needed a four wheel drive? You can definitely do it without a four wheel drive. Just make sure your vehicle is in good shape and you have good tires. If you are camping, you can always wait out the weather too. The roads are quite slippery because they are made of a shale like stone, so they’re more slippery than other roads. But you can just take your time and it’s no problem. Great,That an awesome highways. one of best highway for road trip and have so much things to get fun. it is full with natural beauty and you captured awesome photos of that beautiful place. Looks like an epic drive through this part of Canada. Great shots Dave!